“You’ve got a lot of the dealers and distributors that are from the Baby Boomer generation or maybe even Generation X. And then you’ve got these Millennials coming into positions of responsibility now and they have a different mindset than maybe what the ownership or senior management has as far as what motivates them and what’s important to them. I hear a lot of people talking about Baby Boomers retiring. But what I’m seeing in the workforce is that the trend is actually going the other way. People are a little bit more concerned about retiring, whether it’s because of financial security or Social Security, etc. ProLine is a leading manufacturer of industrial workstations, ergonomic work benches and more. “It is not a significant surprise Americans are not selecting the manufacturing industry as their top career choice, given they believe manufacturing jobs are the first to move to other countries and our policy makers are not providing the leadership to help create an advantage for U.S. manufacturers relative to other countries. “Just as every company engineers its product lines, its supply chain and its production process, you can engineer a talent pipeline. “Manufacturing still has an outdated, negative image among many young people. Also, the rapid advance of technology is raising the bar for working in modern manufacturing, and the public schools generally are doing a dismal job of teaching the STEM subjects (science, technology, engineering and math). “For our organization, there’s a lot of effort that’s put into system setup, both from a software and hardware perspective, so we need to have the right team in place to make the process as easy on the customer as possible. Cognex manufactures industry-leading scanners, vision systems and barcode readers. “We see a lot of issues with respect to the manufacturing skills gap. The young people with maintenance skills, well – we don’t see a lot of them. Most seem to be focused on technology and social media and that sort of thing. Ryson manufactures high-quality spiral conveyors. 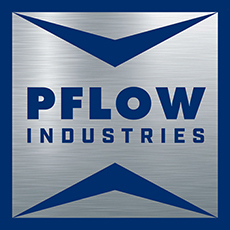 Pflow is the leading manufacturer of vertical conveyors and mezzanine lifts. “With the younger generation, the Millennials, we’re finding as a manufacturer, they don’t want to dirty their hands. They don’t want to be welders and things like that so it’s getting harder and harder to find young, qualified people that want to work in these types of positions. “For manufacturing, there’s a significant percentage of Baby Boomers looking to retire in the coming years. So you’ve got a generation that’s well trained and educated to do work that they enjoy doing leaving the workforce. On the flip side, you’ve got a newer generation of kids coming up into the workforce and hard labor is not something that most enjoy or want to do. SI Systems manufactures leading A-frame and automated picking technologies. “I foresee somewhat of a chasm with respect to the aging workforce and distinct skills sets that are going to be increasingly difficult to fill with Millennial workers, who tend to be more interested in the technology side of things. Lift’nBuddy manufactures powered stacker/lifts for ergonomic handling applications. “In the years to come, there will undoubtedly be a shortage of workers who have the skill sets to carry out certain tasks. They’re going to be a premium for companies, the workers who do have those skills. We’ll likely see an increase in average wages for those types of positions as companies fight it out for the more qualified skilled workers. Aleco manufactures strip doors, impact doors, and air curtain systems for climate and airborne debris control. “We look at workforce diversity as a really great thing. A lot of people come to us and say, ‘Hey, we’ve got a very transitional workforce here,’ or, ‘We’ve got a very multicultural workforce.’ So they’re looking for a machine that can accommodate that shift. We can make our machines multilingual very easily. And I think that will continue to grow. We see a lot of manufacturing headed south or overseas. We see a lot of a diverse workforce coming into the United States. Hanel manufactures vertical carousels and vertical lift modules for enhanced order picking productivity, better storage density, and ergonomic access to products. “We have a lot of younger people with us now, whereas the industry and the market used to be a lot older. So it’s kind of like the new ship is coming in and it’s different. RWM is a leading manufacturer of industrial casters and wheels. There are several schools of thought when it comes to shifting workforce demographics within the manufacturing sector. Some view the challenges of the older generation of workers retiring and the younger generation entering the workforce as significant, while others view the change as an opportunity to increase investment in technology and automation and diversify the workforce. Whatever the case, it’s clear from the data and growth projections the industry will look vastly different in the future. Where does your organization come down on the so-called manufacturing skills gap?